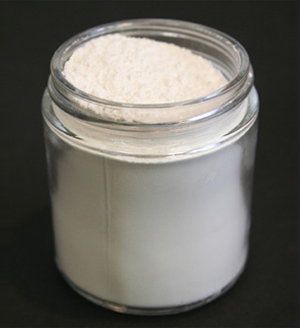 Alumina Trihydrate (AI2O3•3H2O) is the most widely used flame retardant in the world due to its versatility and low cost. Available in different particle sizes, it can be used in a wide range of polymers at processing temperatures below 220°C. ATH is non-toxic, halogen-free, chemically inert, and has low abrasiveness. Additional benefits are arc and track resistance in plastics exposed to electrical arcing, acid resistance, and smoke suppression. At about 220°C, ATH begins to decompose endothermically releasing approximately 35% of its weight as water vapor. Alumina Trihydrate acts as heat sink thereby retarding pyrolysis and reducing the burning rate. The water vapor released has an added effect of diluting combustion gases and toxic fumes. 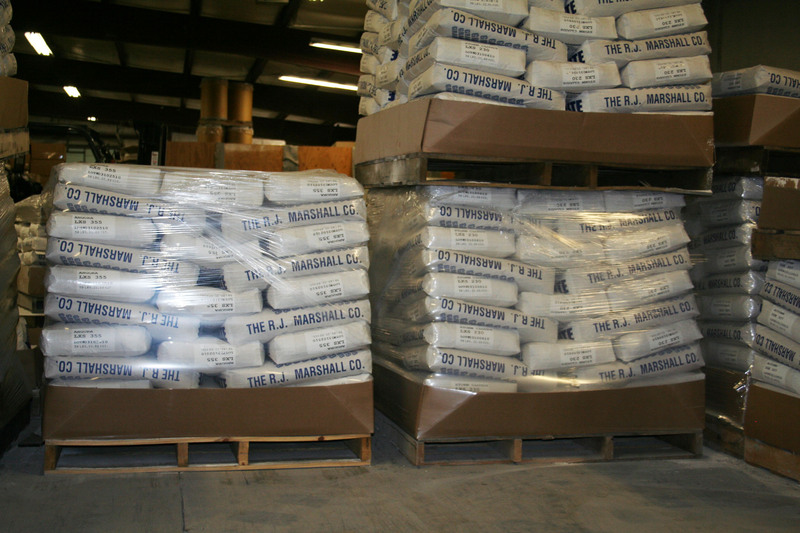 In addition to the Alumina Trihydrate products below, R.J. Marshall also offers WHITE Alumina Trihydrate for Solid Surface manufacturing with Dense Fill and for Cultured Onyx manufacturing with Onyx Fill. ATH Quick Reference Chart Click on a product in the chart below for individual Tech Data Sheets. 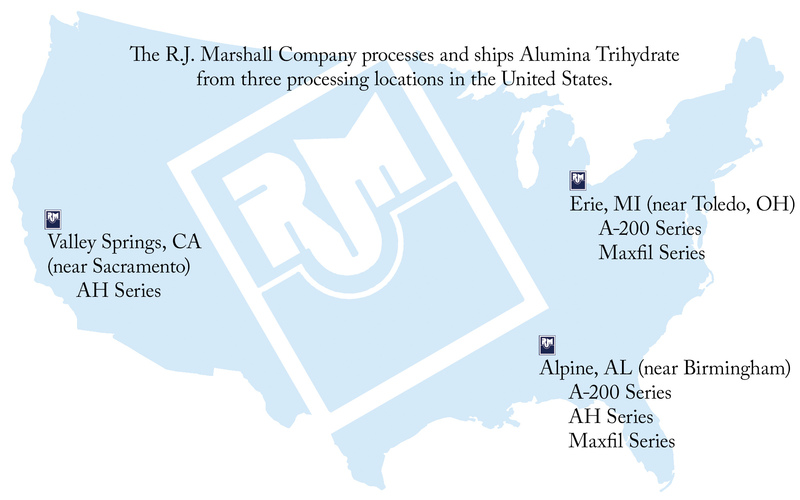 The R.J. Marshall Company has three Alumina Trihydrate processing / shipping locations in the United States.